Road Recorder - Your black box for your everyday trip! Have you ever had problems proving the fender-bender wasn't your fault? Well, those times are over. 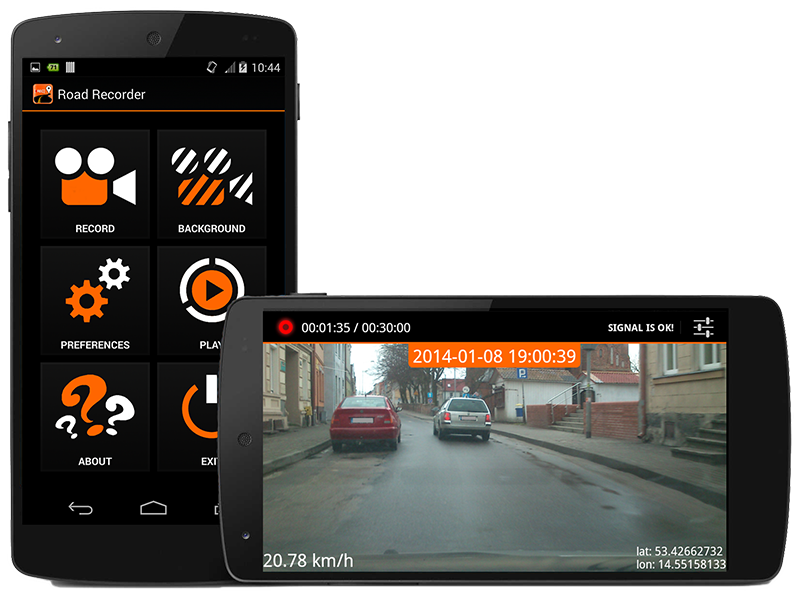 Meet the Road Recorder - the best car video camera for your cellphone. With this app you can record your route in HD with all necessary features, such as location, speed and date. If you want to use any other apps at the same time you can easily do background recording. And... when you have driven safely to your destination you can playback the recorded material and send your files to dropbox or email. Road Recorder is the best alternative for 130$ worth mid-range car cameras. The best of all is our app is free and ready to download. You can download for free or purchase the pro edition from the Google Play market in three different languages. Give it a try today and join over 50 000 happy users. "The best app in this category! Really recomend it for all users. Many useful options and great interface :)"
"Awesome. 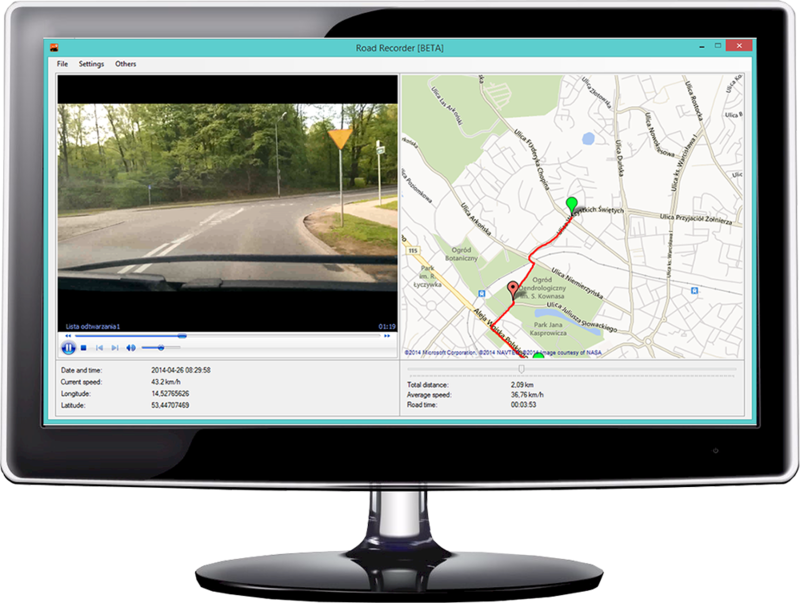 I've tried countless other dashcam apps and this one works beautifully!" "Nice app. So far I like this app, if all goes well I will UG to pro after a week. I have tried it at night so far and all looked fine. The devs seem keen to help with questions, like from me." "The best app in market. I use it every day. Nice work." Stay informed with updates and new features of the application. Receive information about discounts and promotional codes entitled to download the PRO version for free. Road Recorder is a free to use. If you like app or want to help, please make a small donation.